After all the remixes are posted, Snowflake will pick her favorite remix and include it as a surprise 11th track on her FanClub release “One or Ten” on April 20th. She tells us the remixer will be awarded producer royalties for the track as well. Best of all, Snowflake will donate $200 to a green friendly non-profit to be chosen by the producer of her favorite “Apologize” remix! Snowflake was so overwhelmed with the quality and quantity of the responses to her Earth Day challenge that she actually couldn’t pick a favorite: so she picked two! A donation has been made to each of the green non-profits in your names. Thanks to Snowflake for her generosity and coming up with this great idea, raising awareness about all these issues in such a fun and creative way. Snowflake is an ethereal female vocalist, songwriter, pianist and poet sharing her singular sound, source creations with the Noosphere. Art is her activism, and collaboration her tool for cooperation. 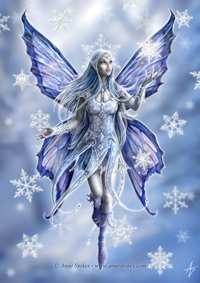 As an aspect of water, Snowflake expresses her intimate connection with the earth through music. This upcoming EarthDay, Snowflake challenges us all to take the No Plastic Pledge - thereby, removing plastic bags and water bottles from our way of life! Learn more about Snowflake at her new website that features both her ccMixter source tracks and five favorite remixes. Her favorite “ Apologize” remix will be featured on her site on 4/20!